Already paying for hosting but would really like to switch today? Get free hosting for the time you have remaining up to a maximum of 1 year! "I want to move today, but have 6 monts left at my current host!" We hear this all the time! We know that switching hosts can already be a daunting task without having to work around a timeline involving expiry dates of services. To make things easier, our YourMove policy gives clients the opportunity to avoid paying extra fees when they have essentially already paid for hosting for a specific period. 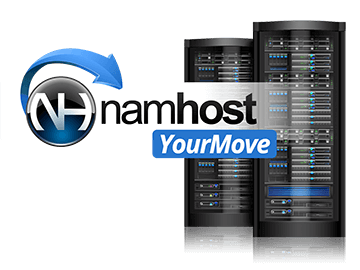 If your current hosting only expires in 6 months, you can transfer now and we wont charge you for your first 6 months at Namhost! Neat, huh? * There are a few conditions that are laid out in detail on our official YourMove Policy page. "Thank you NAMHOST for the constant prompt, responsive and professional service. Granwille, your assistance and willingness to go the extra mile is unparalleled. Keep up the fantastic work!" "We always get awesome service from Namhost, keep it up guys, that's why we only work with you and that's why we refer other people to you." "Namhost is amazing. Compared to other web hosting companies, transferring my domain was never easier. The most user friendly cPanel, live chat support and payment methods. Thanks Namhost. " Where can I see the YourMove policy terms and conditions?